Gravitation is a seminal work familiar to all advanced physics students, but the Kuehne Physics Mathematics Astronomy Library (PMA) has an uncommon copy of the book. Co-author John Wheeler presented this copy with his inscription to a former engineering professor at UT, who donated the book to the PMA Library. A time later, co-author Kip Thorne gave a lecture at UT and a Physics undergrad asked if he would add his inscription. Finally, co-author Charles Misner visited campus for a lecture and he, too, added his inscription to the volume, completing the trio. 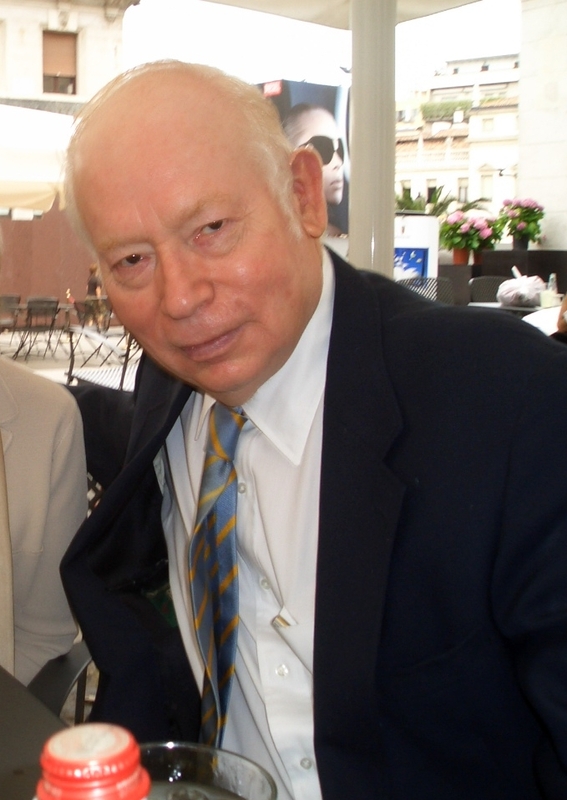 Professor Steven Weinberg is the university’s Nobel Laureate in Physics (1979) whose work in elementary particle physics and cosmology has garnered important scientific awards and honorary acclaim. He has published more than 300 scientific articles and scholarly monographs, and he is a leader in his area of theoretical physics. Dr. Weinberg coined the term Standard Model to describe the theory of fundamental particles and their interactions. Weinberg’s research articles deal with highly abstract and mathematical topics such as “Goldstone Bosons as Fractional Cosmic Neutrinos” or “Quantum mechanics without state vectors.” But Weinberg also writes for non-specialists, including frequent contributions to the New York Review of Books and numerous books on the history and culture of science. He is widely interviewed and his opinions are sought on topics such as religion and world issues as those relate to science. As a librarian I’m interested to know more about his research process for his historical and cultural materials, which are not the usual realm of a Nobel physicist. His most recent book, To Explain the World: The Discovery of Modern Science (Harper Collins 2015), discusses the development of physical science beginning with the ancient Greeks at Melitus sweeping through medieval science and the scientific revolution until the modern discipline of science emerged. As a self-described perpetual amateur Dr. Weinberg is intellectually restless. When he wants to explore a topic, he teaches a course on it over several semesters, does extensive research to develop lectures and teaching materials, and eventually writes a book on the topic. In approaching an unfamiliar area he starts with older books, not necessarily the latest information. As the research develops he moves forward to the current professional literature. If the existing writings on a topic do not appeal to his sensibilities he writes material that presents content in a way that makes sense and ‘explains the world’ for him and his students. For example, a new physics course for the Spring, 2016 is his current project. It will be a graduate course in astrophysics — a more “down-to-earth” variety of astrophysics. He is learning about stellar structure and galactic structures by reading older books — going back to the 1930’s and catching up eventually to current research articles. Perhaps another book will result from his investigations. Dr. Weinberg uses libraries well and often — what we term an excellent library user. The ability to browse is of paramount importance to him. In speaking to the local public library foundation, he stated that there is no substitute for being able to browse, and was surprised by the standing ovation that followed. Like most particle physicists, he gets a daily feed from the arXiv e-print server, and uses the research literature online, but prints what he needs to read. We’re curious about what’s on his current reading list. Weinberg is re-reading Anthony Trollope’s The Warden, and reading Jonathan Schneer’s book about Churchill’s war cabinet, Ministers at War. Preparing for a spring course on astrophysics, he is also looking into Cox and Giuli’s Principles of Stellar Structure, borrowed from the library. Steven Weinberg is the featured speaker at this year’s Distinguished Author Dinner hosted by the Libraries for its generous supporters. To contribute to the Libraries and received access to future events such as this, visit our online giving page. Hinojosa and Pérez Brought Soul and Heart to 17th Annual ¡A Viva Voz!